Frances Kathleen Oldham Kelsey, CM (July 24, 1914 – August 7, 2015) was a Canadian-American pharmacologist and physician. As a reviewer for the U.S. Food and Drug Administration (FDA), she refused to authorize thalidomide for market because she had concerns about the drug's safety. Her concerns proved to be justified when it was shown that thalidomide caused serious birth defects. Kelsey's career intersected with the passage of laws strengthening FDA oversight of pharmaceuticals. Kelsey was the second woman to be awarded the President's Award for Distinguished Federal Civilian Service by President John F. Kennedy. Born in Shawnigan Lake, British Columbia, Kelsey attended St. Margaret's School in the provincial capital, graduating at age 15. From 1930-1931, she attended Victoria College (now University of Victoria). She then enrolled at McGill University, where she received both a B.Sc. (1934) and a M.Sc. (1935) in pharmacology. Encouraged by one of her professors, she "wrote to EMK Geiling, M.D., a noted researcher [who] was starting up a new pharmacology department at the University of Chicago, asking for a position doing graduate work". Geiling, obviously unaware of spelling conventions with respect to Francis and Frances, presumed that Frances was a man and offered her the position, which she accepted, starting work in 1936. During her second year, Geiling was retained by the FDA to research unusual deaths related to elixir sulfanilamide, a sulfonamide medicine. Kelsey assisted on this research project, which showed that the 107 deaths were caused by the use of diethylene glycol as a solvent. The next year, the United States Congress passed the Federal Food, Drug, and Cosmetic Act of 1938. That same year she completed her studies and received a Ph.D. in pharmacology at the University of Chicago. Working with Geiling led to her interest in teratogens, drugs that cause congenital malformations (birth defects). Upon completing her Ph.D., Oldham joined the University of Chicago faculty. In 1942, like many other pharmacologists, Oldham was looking for a synthetic cure for malaria. As a result of these studies, Oldham learned that some drugs are able to pass through the placental barrier. While at the University of Chicago, she met fellow faculty member Dr. Fremont Ellis Kelsey, whom she married in 1943. While on the faculty at the University of Chicago, Kelsey was awarded her M.D. during 1950. She supplemented her teaching with work as an editorial associate for the American Medical Association Journal for two years. Kelsey left the University of Chicago in 1954, decided to take a position teaching pharmacology at the University of South Dakota, and moved with her husband and two daughters to Vermillion, South Dakota, where she taught until 1957. She became a dual citizen of Canada and the United States in the 1950s in order to continue practicing medicine in the U.S., but retained strong ties to Canada where she continued to visit her siblings regularly until late in life. In 1960, Kelsey was hired by the FDA in Washington, D.C. At that time, she "was one of only seven full-time and four young part-time physicians reviewing drugs" for the FDA. One of her first assignments at the FDA was to review an application by Richardson Merrell for the drug thalidomide (under the tradename Kevadon) as a tranquilizer and painkiller with specific indications to prescribe the drug to pregnant women for morning sickness. Even though it had already been approved in Canada and more than 20 European and African countries, she withheld approval for the drug and requested further studies. Despite pressure from thalidomide's manufacturer, Kelsey persisted in requesting additional information to explain an English study that documented a nervous system side effect. Kelsey's insistence that the drug should be fully tested prior to approval was vindicated when the births of deformed infants in Europe were linked to thalidomide ingestion by their mothers during pregnancy. Researchers discovered that the thalidomide crossed the placental barrier and caused serious birth defects. She was hailed on the front page of The Washington Post as a heroine for averting a similar tragedy in the U.S. Morton Mintz, author of The Washington Post article, said "[Kelsey] prevented… the birth of hundreds or indeed thousands of armless and legless children." Kelsey insisted that her assistants, Oyam Jiro and Lee Geismar, as well as her FDA superiors who backed her strong stance, deserved credit as well. The narrative of Dr. Kelsey's persistence, however, was used to help pass rigorous drug approval regulation in 1962. After Morton Mintz broke the story in July 1962, there was a substantial public outcry. The Kefauver Harris Amendment was passed unanimously by Congress in October 1962 to strengthen drug regulation. Companies were required to demonstrate the efficacy of new drugs, report adverse reactions to the FDA, and request consent from patients participating in clinical studies. The drug testing reforms required "stricter limits on the testing and distribution of new drugs" to avoid similar problems. The amendments, for the first time, also recognized that "effectiveness [should be] required to be established prior to marketing." As a result of her blocking American approval of thalidomide, Kelsey was awarded the President's Award for Distinguished Federal Civilian Service by John F. Kennedy, becoming the second woman so honoured. After receiving the award, Kelsey continued her work at the FDA. There she played a key role in shaping and enforcing the 1962 amendments. She also became responsible for directing the surveillance of drug testing at the FDA. Kelsey retired from the FDA in 2005, at age 90, after 45 years of service. In 2010 the FDA established the Kelsey Award, to be awarded annually to an employee. Kelsey continued to work for the FDA while being recognised for her earlier work. She was still working at the FDA's Center for Drug Evaluation and Research in 1995 and was appointed deputy for scientific and medical affairs. In 1994, the Frances Kelsey Secondary School in Mill Bay, British Columbia was named in her honour. She retired in 2005. In 2010, the FDA presented Kelsey with the first Drug Safety Excellence Award and named the annual award after her, announcing that it would be given to one FDA staff member annually. In announcing the awards, Center Director Steven K. Galson said "I am very pleased to have established the Dr. Frances O. Kelsey Drug Safety Excellence Award and to recognize the first recipients for their outstanding accomplishments in this important aspect of drug regulation." Kelsey turned 100 in July 2014, and shortly thereafter, in the fall of 2014, she moved from Washington, D.C., to live with her daughter in London, Ontario. In June 2015, when she was named to the Order of Canada, Mercédes Benegbi, a thalidomide victim and the head of the Thalidomide Victims Association of Canada, praised Dr. Kelsey for showing strength and courage by refusing to bend to pressure from drug company officials, and said "To us, she was always our heroine, even if what she did was in another country." Kelsey died in London, Ontario, on August 7, 2015 at the age of 101, less than 24 hours after Ontario's Lieutenant-Governor, Elizabeth Dowdeswell, visited her home to present her with the insignia of Member of the Order of Canada for her role against thalidomide. ^ a b McFadden, Robert (August 7, 2015), Frances Oldham Kelsey, F.D.A. Stickler Who Saved U.S. Babies From Thalidomide, Dies at 101, The New York Times . ^ a b Peritz, Ingrid (November 24, 2014), Canadian doctor averted disaster by keeping thalidomide out of the U.S., The Globe and Mail, retrieved August 7, 2015 . ^ a b c d e "Frances Kelsey", Canada Heirloom Series, Heirloom Publishing Inc., 986, retrieved August 15, 2009 . ^ a b c d e f g h Bren, Linda (March–April 2001), "Frances Oldham Kelsey: FDA Medical Reviewer Leaves Her Mark on History", FDA Consumer, archived from the original on October 20, 2006, retrieved August 15, 2009 . ^ "When Kelsey read Geiling's letter offering her a research assistantship and scholarship in the PhD program at Chicago, she was delighted. But there was one slight problem — one that 'tweaked her conscience a bit.' The letter began 'Dear Mr. Oldham,' Oldham being her maiden name. Kelsey asked her professor at McGill if she should wire back and explain that Frances with an 'e' is female. 'Don't be ridiculous,' he said. 'Accept the job, sign your name, put 'Miss' in brackets afterwards, and go!'" Bren (2001). ^ Spiegel, Rachel, Research in the News: Thalidomide, archived from the original on August 22, 2007, retrieved August 15, 2009 . ^ a b c Simpson, Joanne Cavanaugh (September 2001), "Pregnant Pause", Johns Hopkins Magazine, 53 (4), retrieved April 30, 2006 . ^ a b c Rouhi, Maureen (June 20, 2005), "Top Pharmaceuticals: Thalidomide", Chemical & Engineering News, 83 (25), retrieved April 30, 2006 . ^ a b c "The Story Of The Laws Behind The Labels", FDA Consumer, June 1981, retrieved August 15, 2009 . ^ a b Mintz, Morton (July 15, 1962), 'Heroine' of FDA Keeps Bad Drug Off of Market, The Washington Post, p. Front Page . See also Mintz's comments from 2005 on Kelsey. ^ a b Dr. Frances Kathleen Oldham Kelsey, National Library of Medicine, retrieved April 30, 2006 . ^ Kennedy, John F. (1962), Remarks Upon Presenting the President's Awards for Distinguished Federal Civilian Service, retrieved May 1, 2006 . ^ a b Women of the Hall – Frances Kathleen Oldham Kelsey, Ph.D., M.D., National Women's Hall of Fame, 2000, retrieved May 1, 2006 . ^ Lyndsey Layton (September 13, 2010), "Physician to be honored for historic decision on thalidomide", The Washington Post . ^ FKSS History, Frances Kelsey Secondary School, archived from the original on October 19, 2012, retrieved December 26, 2014 . ^ "Frances Kelsey, scientist - obituary". The Telegraph. August 11, 2015. Retrieved 11 August 2015. ^ Harris, Gardiner (September 13, 2010), "The Public's Quiet Savior From Harmful Medicines", The New York Times, retrieved January 4, 2011 . ^ Margaret A. Hamburg, M.D., Commissioner of Food and Drugs – Remarks at the Award Ceremony for Dr. Frances Kelsey . ^ Barber, Jackie (November 10, 2005), "Center ceremony honors 107 individuals, 47 groups: Spring event inaugurates Frances Kelsey Drug Safety Award", News Along the Pike, archived from the original on June 15, 2007, retrieved August 15, 2009 . ^ McElroy, Justin (July 24, 2014), Canadian scientist Frances Kelsey, who spurred FDA reforms, turns 100, Global News, retrieved July 24, 2014 . ^ a b c Ingrid Peritz (July 1, 2015), "Doctor who opposed thalidomide in U.S. named to Order of Canada", The Globe and Mail, retrieved July 1, 2015 . ^ Bernstein, Adam; Sullivan, Patricia (August 7, 2015), Frances Oldham Kelsey, FDA scientist who kept thalidomide off U.S. market, dies at 101, The Washington Post, retrieved August 7, 2015 . ^ Ingrid Peritz (August 7, 2015), "Canadian doctor who kept thalidomide out of U.S. dies", The Globe and Mail, retrieved August 7, 2015 . ^ Gold Key Award Recipients, The University of Chicago The Medical & Biological Sciences Alumni Association, retrieved August 14, 2006 . 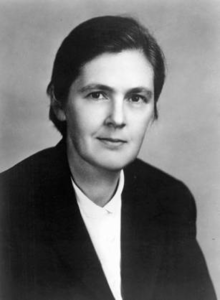 ^ Geraghty, Karen (July 2001), "Profile of a Role Model – Frances Oldham Kelsey, MD, PhD", Virtual Mentor – American Medical Association Journal of Ethics, 7 (7), archived from the original on September 29, 2007, retrieved August 15, 2009 . ^ "FDA honors one of its own". CNN blog. September 16, 2010. Retrieved August 9, 2015. ^ "Honorary doctor of science degree from Vancouver Island University", Nanaimo News Bulletin, Black Press, Inc., 2012-06-06 . Cite error: A list-defined reference named "foremother" is not used in the content (see the help page). Harris, Gardiner (September 13, 2010), The Public's Quiet Savior From Harmful Medicines, The New York Times . Harris, Steven B. (1992), The Right Lesson to Learn from Thalidomide, archived from the original on 2001-04-20 . Kelsey, Frances O. (1993), Autobiographical Reflections (PDF) . This was drawn from oral history interviews conducted in 1974, 1991, and 1992; presentation, Founder's Day, St. Margaret's School, Duncan, B. C., 1987; and presentation, groundbreaking, Frances Kelsey School, Mill Bay, B. C., 1993. Mintz, Morton (1965), The therapeutic nightmare; a report on the roles of the United States Food and Drug Administration, the American Medical Association, pharmaceutical manufacturers, and others in connection with the irrational and massive use of prescription drugs that may be worthless, injurious, or even lethal., Boston: Houghton Mifflin, LCCN 65015156 . Library of Congress catalog entry. McFadyen, R. E. (1976), "Thalidomide in America: A Brush With Tragedy", Clio Medica, 11 (2): 79–93 . Mulliken, J. (August 10, 1962), "A Woman Doctor Who Would Not be Hurried", Life Magazine, 53: 28–9, LCCN 37008367 . Perri III, Anthony J.; Hsu MD, Sylvia (2003), "A review of thalidomide's history and current dermatological applications", Dermatology Online Journal, 9 (3): 5, PMID 12952752, retrieved August 14, 2006 . Seidman, Lisa A.; Warren, Noreen (September 2002), "Frances Kelsey & Thalidomide in the US: A Case Study Relating to Pharmaceutical Regulations", The American Biology Teacher, 64 (7): 495, doi:10.1662/0002-7685(2002)064[0495:FKTITU]2.0.CO;2, 7 . Stamato, Linda (December 17, 2012), "Thalidomide, after fifty years: A tribute to Frances Oldham Kelsey and a call for thorough, responsible federal drug regulation and oversight", NJ Voices, NJ.com . This page is based on the Wikipedia article Frances Oldham Kelsey; it is used under the Creative Commons Attribution-ShareAlike 3.0 Unported License (CC-BY-SA). You may redistribute it, verbatim or modified, providing that you comply with the terms of the CC-BY-SA.